Dr. John Bailey is Richard H. Larson Distinguished Professor of Music and a member of the Moran Woodwind Quintet, resident faculty quintet at the Glenn Korff School of Music. He is principal flutist with the Lincoln Symphony Orchestra, with which he has appeared as concerto soloist on numerous occasions, most recently in Bach's Brandenburg Concerto No. 5. Since 2005 he is also Director of UNL's annual summer Chamber Music Institute. He received his undergraduate degree from Indiana University, where he studied with James Pellerite. Both his masters and doctorate were earned at Northwestern University, where he was assistant to Walfrid Kujala. He also studied at the Hochschule für Musik und darstellende Kunst in Vienna, Austria, with Louis Rivière, piccoloist of the Vienna Philharmonic. From 1982 to 1996, he was program annotator for the American Institute of Musical Studies (AIMS) in Graz, Austria, where he was also co-principal flutist with the festival's orchestra. Bailey is an active recitalist, lecturer and masterclass teacher. 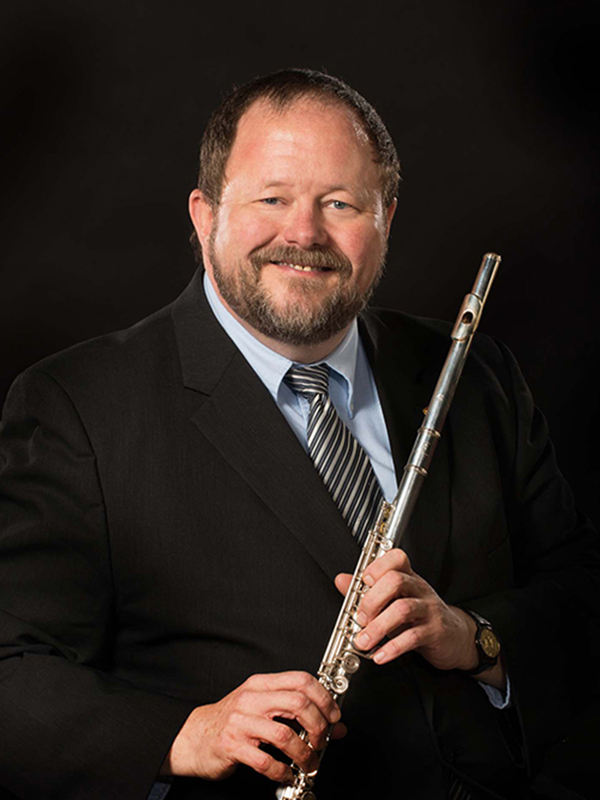 He has performed at the Phillips Collection, Washington, D.C.; the Chicago Public Library Cultural Center (as part of the Dame Myra Hess series); Unity Temple, Oak Park, IL; numerous universities throughout the US; at many flute festivals, including Rochester, NY, Pittsburgh, Hot Springs, Norman, OK, Raleigh, NC, and St. Louis; and in recital in Germany, Italy, the Czech Republic, and England. With the Moran Woodwind Quintet he has toured throughout the Midwest and released a series of recordings on the Crystal label--The Wind Chamber Music of Theodor Blumer, Vols. 1-3. The third, released in December, 2007, contains one final quintet and three works for flute and piano. Bailey has discovered further gems by Blumer and is planning a fourth recording. His recording of American masterworks on the Centaur label (works by Ran, Larsen, La Montaine, Persichetti, Snyder and Heiden) is forthcoming. He has conducted the International Flute Orchestra (35 professional flutists and teachers) on tour in Greece, Chile, China, Spain, Italy, Austria, Germany, the Czech Republic, Slovenia, Hungary, Poland, Slovakia, Croatia, Turkey, the Baltic Republics, and Russia. He was President of the National Flute Association in 2003-2004 and program chair of the annual NFA convention in August, 2002 in Washington, D.C. He is a past president of the Beta Chapter of Pi Kappa Lambda and of the Great Plains Chapter of the College Music Society.